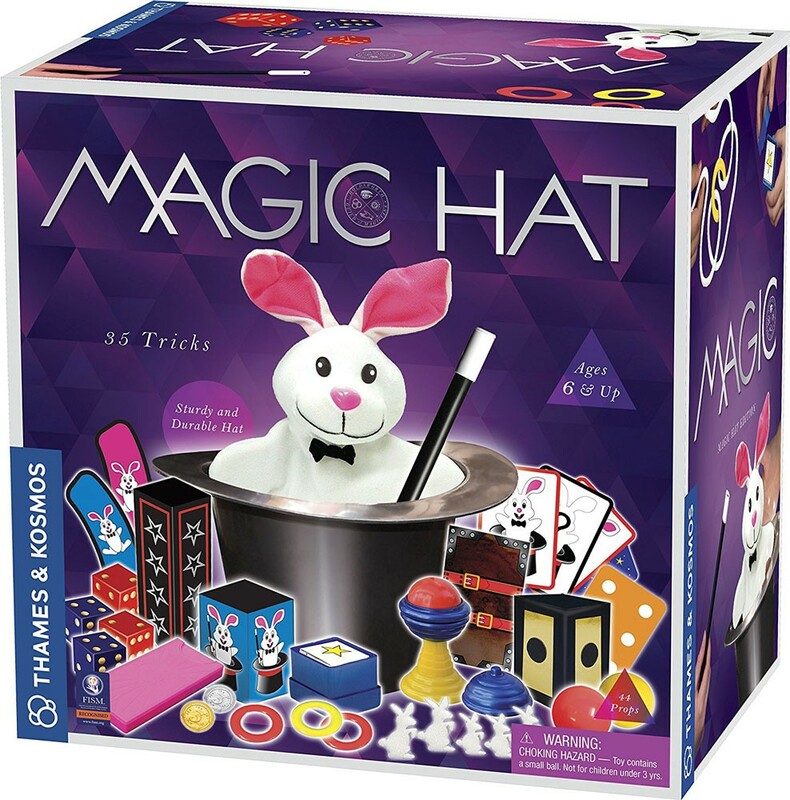 With the magic hat and rabbit puppet, as well as more than 40 other magic props, young kids can learn and perform 35 cool magic tricks. Enter the world of magic and sorcery! 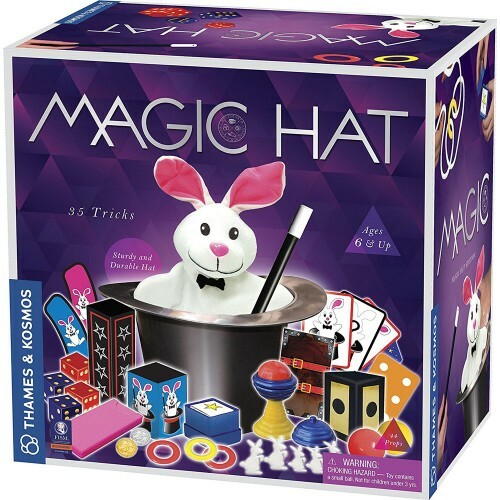 Magic Hat Edition 35 Tricks Magic Kit is a new Thames & Kosmos' set for the beginning magicians, even as young as 6 years. 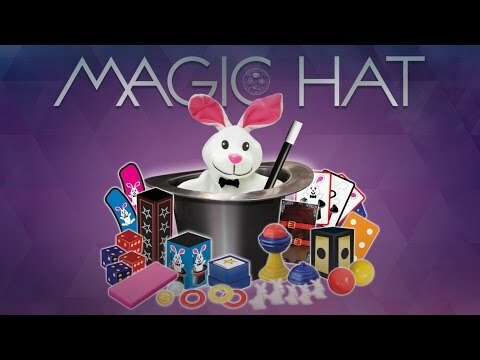 With the magic hat and rabbit puppet, as well as more than 40 other magic props, kids can learn and perform 35 magic tricks. 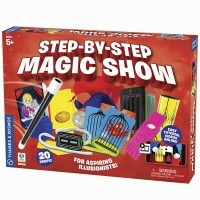 The 20-page manual teaches most of the tricks in three easy steps accompanied by color illustrations, first clearly explaining which magic props are needed, then how the trick is prepared, and finally how it is performed. With some practice, it becomes easy to stage a magic show filled with fun and successful tricks that will amaze your audience. Pull a rabbit from a seemingly empty hat. Make a ball disappear from a magic cup, reappear again, and change color. Make cards grow and shrink. 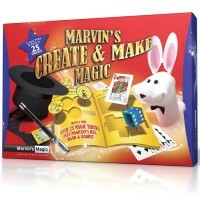 Make a coin disappear and reappear with a magic coin box. Use X-ray vision to magically see symbols through a solid, opaque surface. Make your magic wand float, bend, and grow. Magically change the color of a ring, duplicate the ring, and make it pass through the wand. Little foam rabbits appear, disappear, multiply, and move around as if by magic. Astound your audience with rope tricks in which knots untie themselves and dice tricks where dice change location and color inside a magic tunnel. Conjure up money as if out of thin air. Make rabbit cards appear and disappear. Learn simple card tricks with special cards. 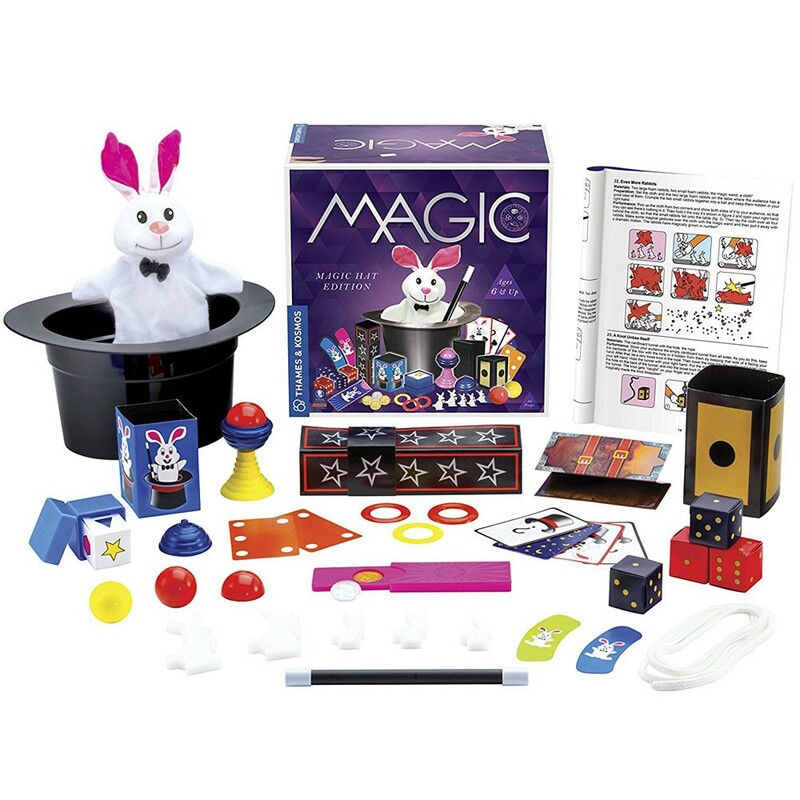 With this Educational Toys Planet's kids magic set create some real abracadabra performance for your family and friends audience! 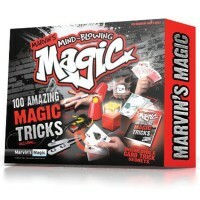 Dimensions of package 6.6" x 10" x 9.8"
Write your own review of Magic Hat Edition 35 Tricks Magic Kit . Rating: 5 I recommend by By A customer Great product and loads of tricks included. My son got bored with it after he learned and performed all the tricks a few times though. 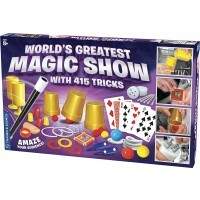 Rating: 3 Lots of fun for your little Magician-in-training by By A customer What kid hasn't dreamed of being a Magician? We got this for our nine-year-old son, and he had a blast exploring the tricks with the help of his fourteen-year-old sister. (Which is a good thing, because quite a few of the tricks were a little too difficult for him to manage by himself.) We've experienced some excellent magic shows over the past few months. As other reviewers have started, the material in this kit is not the highest quality, and the top hat broke in no time at all. None of this mattered to my son, though. He loves this set. Rating: 5 Great kit! by By A customer I think magic kits are just wonderful toys. They keep kids entertained for hours and are much better than looking at a screen. Kids have to use their imaginations and can put on shows for others.This kit was very nice. 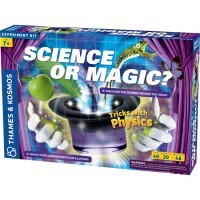 It came with a ton of different tricks, many of which my kids could figure out on their own. They spent a long time playing with it. Some of the tricks are really neat and look convincing even to an adult. I really think this makes a wonderful toy as well as a wonderful gift. The quality was fine and everything worked as it should. I would recommend it. 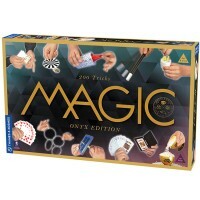 Rating: 5 For serious magicians :) by By A customer My daughter loved this magic set. 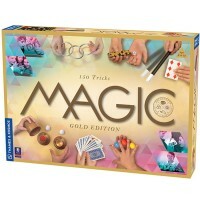 This is a very good starter kit for anyone interested in learning magic, or in my daughter's case, learning that she doesn't want to do magic. Lol! 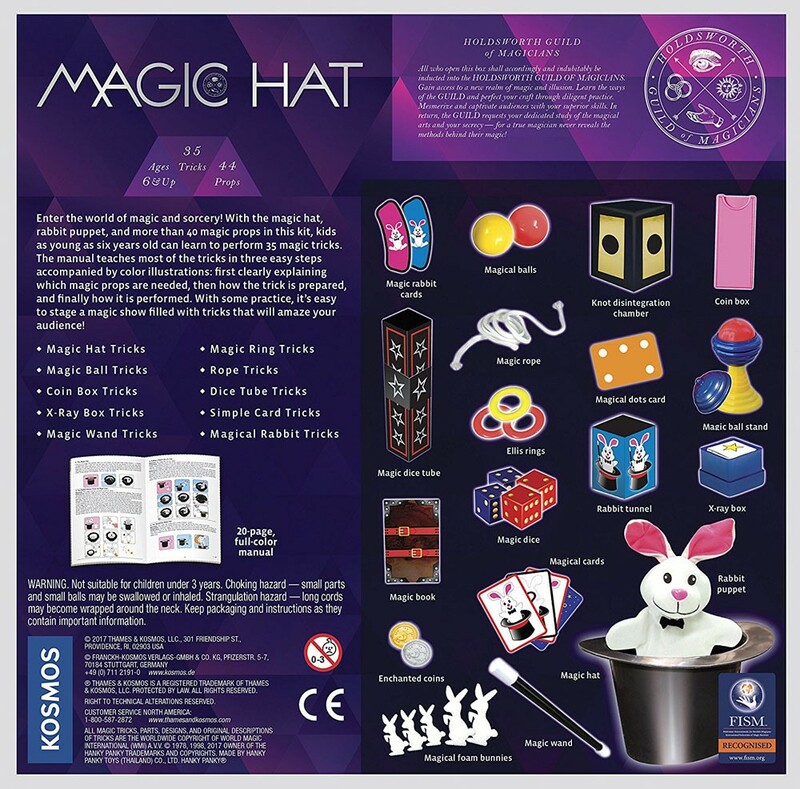 The kit has everything you need to get a good feel for doing magic tricks. My daughter loved it for a few weeks but then moved on to something else as is the case with most things in the playroom. Rating: 4 Cute kit. by By A customer Basic plastic magic hat with other accessories. This is a great beginner's set for the younger kiddies that do not stick things in their mouths. There are many small pieces! There are instructions and they will guide you along. 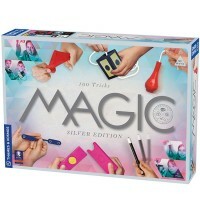 Do not pay an excessive amount because it is not worth it.Highly recommend this kit for the younger child that wants to begin learning the basics of magic. 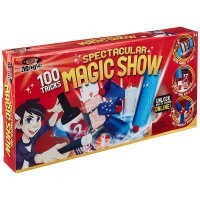 Rating: 2 The tricks included in this set are good quality and fun though by By A customer Very dissatisfied with this magic set. 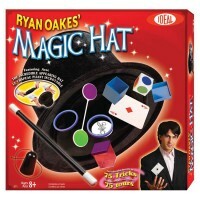 I bought it just for the magic hat so my kid could do the hat and bunny trick. Although it says 'for 6yrs and up' on the box, the hat did not fit my 7yr old. The width is so smaIl that there was no way my 7yr old could fit his head in. It also doesn't help that the hat is made of hard plastic (inflexible). Unusable, I am returning it!The tricks included in this set are good quality and fun though, hence the 2 stars. Rating: 3 but not great. by By A customer o.k. but not great. Rating: 4 Cute but the girls (ages 10 and 6) didn't have ... by By A customer Cute but the girls (ages 10 and 6) didn't have enough patience to read and figure out the tricks. They played with it for a couple of hours and grew tired quickly. It's been in the box since. Be prepared to get involved and help them learn the tricks. I will do that as soon as holiday dust settles.